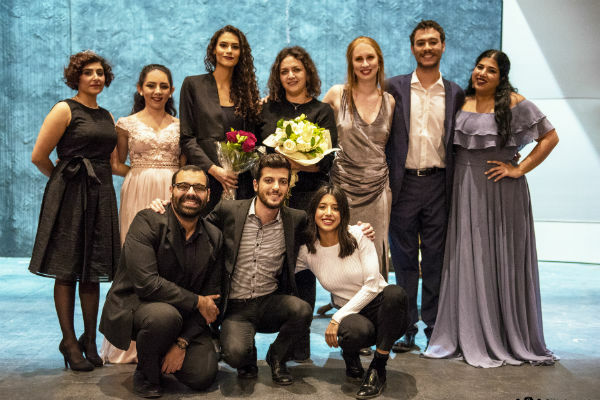 The first concert of the AUC Opera Ensemble took place on Sunday 9 December, a formation with artistic direction and coaching by soprano Dina Iskander, an adjunct professor at the American University in Cairo. Consisting of the vocally talented students of the AUC, the newly created ensemble aims at educating the students as well as the audience in the art of opera and Western classical music at large, and creating an opportunity for the students to perform duets, trios and quintettes from different operas. 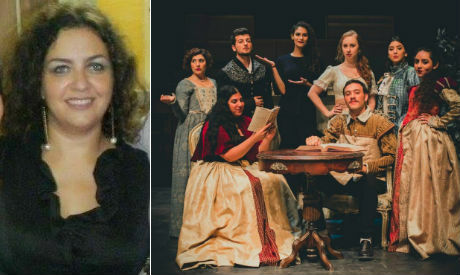 "The creation of this ensemble was not my idea only," Iskander, who has been teaching applied instruction and diction for 13 years at the AUC (and now also teaches opera ensemble), explains to Ahram Online. 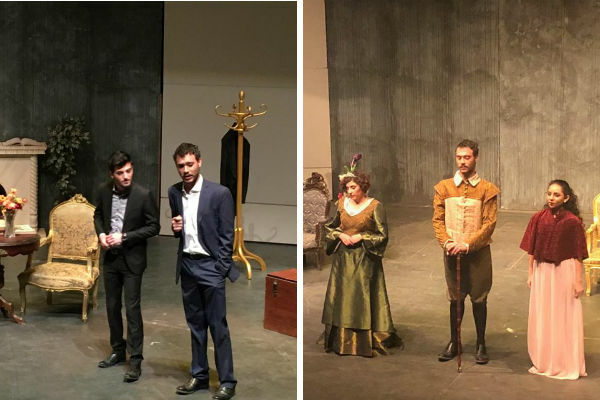 "Two students should be also credited for this idea: Karima El-Demerdasch and Ali Shourbagy, who are very passionate about the ensemble's mission." 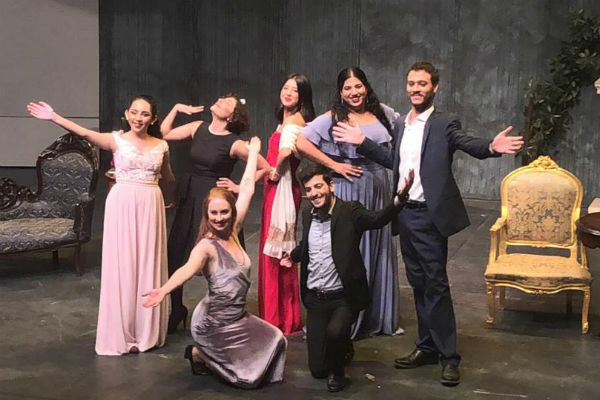 During the inaugural concert, eight students took the stage at the Malak Gabr Theatre: Carol Abead (soprano), Emma Hyatt (soprano), Nathalie Bichara (mezzo soprano), Noura Samy (soprano), Judy Abou Aied (soprano), Karima El-Demerdasch (soprano), Ali El-Shourbagy (tenor) and Khaldoun Abou Dargham (bass baritone). While some of the students have taken vocal lessons for several years, others are just starting; all however are ready to perform on stage. The evening included opera arias as well as oratorio arias, and French and German Art Songs (lieder and melodie), with the piano accompaniment of Mina Hanna. The set was designed by Dina Iskander, costumes by Jeanne Arnold with the help of Nathalie Bichara, while the students took care of their own make up. In addition Samy Shawky, senior supervisor for sound and lighting; Amr Taha, sound and lighting technician; technical director Muhammad Talaat; as well as Salah Morsy responsible of the services, have contributed to the event's success. "The team is rather small but dedicated. And let's not forget a good audience number we had -- from inside and outside the university. The fact that people were very appreciative makes me really happy," Iskander tells Ahram Online, adding how happy she is that "the AUC President, Mr. Francis J. Ricciardone attended the performance, despite the many obligations that he has." As Iskander reveals, the performance encouraged other vocally talented students to join the ensemble. She explains that while the ensemble consists of AUC students, she does not limit it to the university and is ready to welcome any young talented singer as long as his or her musical background and skills prove to be of the required level. "I hope the ensemble will grow. If we have a bigger number of singers, we will have greater flexibility in the choice of works. Who knows, maybe we will even be able to stage an opera at a certain point," Iskander shares. On the other hand, she is also looking into the possibility of performances by the AUC Ensemble outside the university halls so it can reach a wider audience. "There are young people who take the art of opera seriously, who want to develop and have chances to perform. Unfortunately, with the restricted net of the Egyptian opera the young talents do not find any chances to pursue their passion. A few of them travel abroad to accomplish what they are unable to do inside the country." Such a project is an important outlet for the young generation to get closer to the Western classical music values. Hopefully, with ideas and dedication from those like Iskander, new doors opening for the young, talented singers will slowly but surely reshape the field's dynamics in Egypt. Following the inaugural success, Iskander remains positive and enthusiastic, and is already planning for the AUC Opera Ensemble's second concert in the second semester, with the bi-annual performances to continue in the future at the AUC premises, not to mention the possibility of other concerts across the city.